Now you have a barrage of information coming at you of things to do and not do to have a healthy and safe pregnancy. As a newly pregnant mom-to-be, you want a healthy and safe pregnancy so you listen and you read as much as you can. But there is one issue that reports say healthcare providers rarely even bring up. Only 27% of pregnant women have discussed the topic of driving safety with their doctor during their pregnancy. 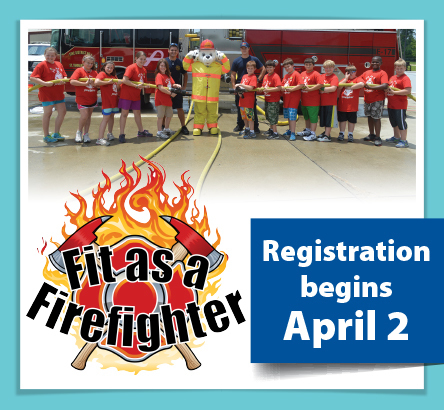 It’s an important topic to discuss because University of Michigan states that 170,000 pregnant women every year are in some type of accident of which 68% report being injured. There are an estimated 3,000 pregnancies lost every year because of car crashes. It’s a staggering statistic considering only about 53 babies from birth to age one are lost in car crashes every year. When the seat belt was originally designed, it was based on a man’s anatomy. Not many women were driving, and if they were, it wasn’t for great distances. It wasn’t of great concern to make sure the seat belt fit them appropriately, not to mention to take into consideration the short-term condition of pregnancy. And seat belts haven’t changed much since that time. As the first line of defense, the seat belt is designed to keep an occupant in the car in a crash. It does this by cinching down and holding the person by their pelvic bones into their seat. It takes a massive amount of restraining power to hold a person in their seat. The challenge for pregnant women is two-fold. First, at least some of that restraining force is being transferred to the baby. 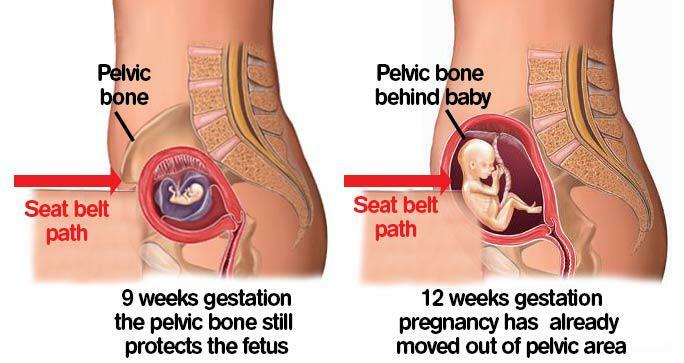 Secondly, as the pregnancy develops, it comes out in front of the pelvic bones, where the seat belt is meant to engage. At 9 weeks, the pregnancy is still well within the protection of the pelvic bone. But already at 12 weeks, it starts to move out in front of the pelvic bone, as shown in the picture. While there are plenty of reports of pregnant women in car crashes with no adverse outcome, there are many others that result in common injuries related to car crashes during pregnancy, such as placental abruption, uterine rupture, direct fetal injury, fetal loss or even maternal death. Even in a low-speed minor crash, injuries can occur that affect the pregnancy. "I didn't sustain any major injuries, and all my minor injuries were caused by the safety features in my car. I had chemical burns on my hands and bruises on both arms where the airbags came out, I also had pain in my chest and face from the airbags. The seatbelt also gave me bruises across my chest and on the bottom of my belly where I was told to wear the belt during pregnancy. Because of the seatbelt the doctors were worried about placental abruption or internal bleeding. I spent the evening in the hospital and the baby was monitored for 13 hours,” mom-to-be, Crickett Holmes, of Durango, Colo., shared about her low-speed crash with a snow plow that unexpectedly started making a U-turn in front of her. There are a several tips pregnant women can remember as they step into a car to make their driving experience safer for themselves and their growing babies. Determine how you feel. If you are feeling tired, nauseated or otherwise out of sorts, eat a snack, drink some water and/or take a rest. Wait to drive until you feel you can be more focused. Take the passenger seat. When possible, don't drive, especially as your pregnancy progresses and your uterus gets closer and closer to the steering wheel. Position yourself as far back from the steering wheel as is comfortable, and you are still able to safely reach the wheel. Try to position yourself so that your breastbone is at least 10 inches away from the steering wheel. Tilt the steering wheel up toward your breastbone so it does not deploy into the abdomen. Use a Tummy Shield to safely redirect the lap portion of the seat belt away from the pregnancy. The Tummy Shield is a crash-tested maternity seat belt adjuster that creates a leg harness, much like a race car driver, for the seat belt. Amie Durocher has been a certified Child Passenger Safety Technician since 2004. She is the author of Safe Driving During Pregnancy: Everything You Need to Know to Keep You and Your Unborn Baby as Safe as Possible in the Car ebook and two children’s books. She is the Creative Director at Safe Ride 4 Kids, a company that offers up-to-date car seat safety information and innovative products, like the Tummy Shield, to help parents make every arrival a safe arrival with all of their precious little ones.